Joanna Popper is a Hollywood and Silicon Valley media executive with experience in TV, Digital, Film and VR/AR. She recently became HP’s Global Head of Virtual Reality Location Based Entertainment. 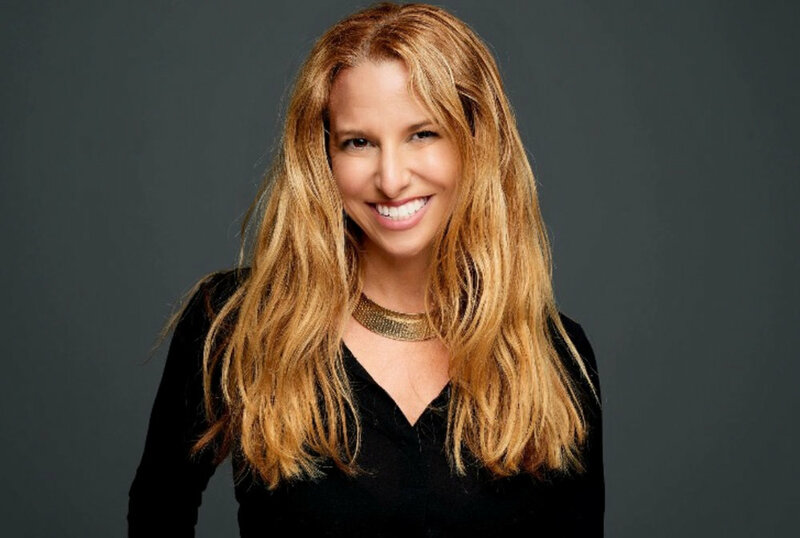 Prior she was the EVP of Media and Marketing at Singularity University, a Google-sponsored NASA-based company that trains leaders on emerging technology, and VP Marketing at NBCUniversal. Joanna developed a TV show partnership with NBC and Singularity University for “The Awesome Show,” a new broadcast TV series on tech and innovation produced by Mark Burnett with host Chris Hardwick. She has advised immersive computing and digital media companies focused on VR gaming, holograms, haptic touch and video engagement as well as developed VR/AR content in the education and wellness spaces. She has spoken in the US and internationally on VR/AR, the future of media, retail, sports, journalism and diversity in tech. 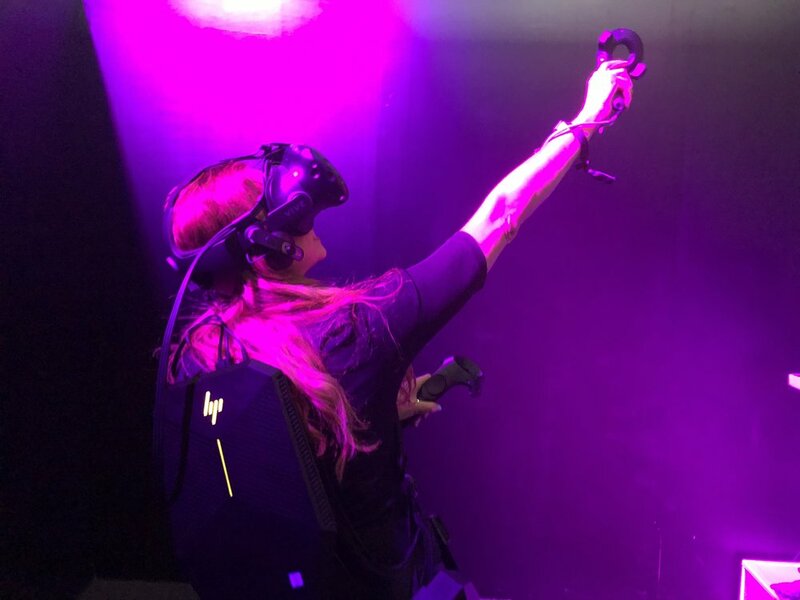 Joanna was selected as one of “50 Women Can Change the World in Media and Entertainment” by Take the Lead Women, “Top Women in Digital: Game Changers” by Cynopsis Media, “101 Women Leading the VR industry” and is on the Coalition for the Women in XR Fund. Joanna, what does your current job role entail? HP has a new team completely focused on Virtual Reality. Our strategy is to be a trusted partner to companies creating, designing and experiencing VR. We have 4 key industry growth sectors which are: architecture, engineering and construction; location based entertainment; military and first responder training; and healthcare. I am focused on growing out our Location Based Entertainment sector. I think it is a great time to enter the industry as it is still in its nascent stages and there is a chance to help develop a new industry which is an exciting opportunity. I love the intersection of creativity from gaming, immersive theatre, tv, film, music, engineering and more all coming together to build this industry together. The energy is electrifying. Everyone working in this field really wants to be here and wants to contribute to building something new. That’s a great environment to join. In addition to all the talented engineers, designers, developers, the field needs people with skills sets in marketing, business development, public relations, digital, finance and more. I believe someone who genuinely wants to work in this field, is open about what that might look like and does the work to learn about VR/AR will ultimately be successful in finding a role in this field. I view my career as an ever-changing, evolving journey which has enabled me to work in many different environments and bring the skill sets and learning from the previous ones to the next. I’ve had a number of careers but my favorite roles have been focused on media and entertainment and innovation and that’s where my true passion lies. In my role as Global Head of Virtual Reality for Location Based Entertainment at HP I am leading our strategy to grow out this business and market. It is thrilling to be part of a new and fast-growing industry and have the opportunity to help shape it by partnering with leading location based entertainment operators and content creators to grow the industry together. On the LBE operator side, we are currently working with most of the bigger groups as they think about launching and / or scaling out their businesses. It is a lot of fun to have the opportunity to work with so many exciting projects. On the content side, we worked with Ready Player One, Meow Wolf and Awake at SXSW. At Tribeca Film Festival we worked with Hero (who won the Storyscapes award! ), Jack: Part One and My Africa. At VRLA we worked with Skydance Interactive, VR Nerds, Paul Debevec and Intel. At Cannes Film Festival we worked with Chorus by Within and Thomas Pesquet. And the year is young - there are many more to come. What does the #WomenInVRAR movement mean to you? Women in technology are crucial. Data shows that companies with diverse and inclusive leadership and work forces have better decision-making, stock market returns, financial returns and products. That means it is financially irresponsible and essentially not doing one’s fiduciary duty to have a culture that it not diverse and inclusive. It is still fairly early in VR/AR. Let’s build diverse cultures. We need each of you, your contributions and the culture you’re building. What will be the key trends in the VR/AR industry in the next 5 years and where do you see it heading? Where it is heading is that VR/AR is the future of computing. There are 5 areas that must advance to hit mass consumer adoption and I'm hopeful that many of these will be addressed in the next 5 years. What is the most important piece of advice you can give to all women, as well as female founders and female entrepreneurs in VR/AR out there? Know that we are all rooting for you to succeed. You can count on us to help and support. Reach out and let us know what you need. Stick with it — emerging technology has ups and downs but it is worth it. Who are your 3 inspirational women in VR/AR? Wow! There are so many!! Maureen Fan inspires me as the CEO of one of the top VR animation companies with numerous award-winning VR experiences. At Tribeca Film Festival we worked with Baobab Studios on their first Baobab Studios Presents piece called Jack: Part One which they created with Nexus Forward/ Mathias Chelebourg. Highlighting and Elevating: her podcasts and panels never have less than 35% female representation and often have 50% female representation, a great goal for all of us. Speaking out: using her voice to help the companies, conferences or groups who support diversity and inclusion but need help putting it into action. I am inspired by so many women creating and highlighting groundbreaking content every day and telling important stories including Jessica Brillhart, Kim Adams, Lily Baldwin, Nanea Reeves, Christina Heller, Ryan Pulliam, Bessie Khonsari, Nonny de la Pena, Nancy Bennett, Diane Williams, Carrie Shaw, Jess Engel, Eliza McNitt, Nora Kirkpatrick, Milica Zec, Julia Sourikoff, Anne Koenig, Mia Tranz, Celine Tricart, Rachel Rossin, Erika Barraza, Yelena Rachitsky, Julia Hamilton Trost, Shari Frilot, Marcie Jastrow, Sally Slade and so many more. I am also inspired by every woman who learns Unity or Unreal and uses all the tools as her disposal to master this medium and let her voice be heard because we need all of our voices.